The Tithonia diversifolia and Parkia biglobosa plants can influence the growth, yield, and vitamin C content of radish (Raphanus sativus L.), when used as green manure, according to researchers from the Landmark University in Nigeria, together with the Nigerian Energy Commission and the National Horticultural Research Institute. The study, published in the journal Agroforestry Systems, compared the efficacy of the two materials with NPK (nitrogen, phosphorous, and potash [potassium]) fertilizers that are heavily used in the industry. Moreover, “quick-release” fertilizers are known to cause runoffs in waterways. The elevated amounts of nitrogen can cause an increase in algae in the water, cutting off oxygen for fish and other marine creatures. Additionally, certain fertilizers contain heavy metals such as silver, nickel, selenium, and vanadium since they were made from residual wastes from wastewater treatment facilities. For this study, researchers examined two possible alternatives for NPK fertilizers – P. biglobosa (also known as the African locust bean) and T. diversifolia (commonly referred to as the Mexican sunflower). The African locust bean is endemic to the savannah regions of the continent, where it is heavily used. It is known to have a wide-reaching crown and can grow up to 20 meters tall. Locals use all parts of the tree: The pulp can be eaten raw or used in traditional sweetmeat, while the seeds can be fermented and used in local cake production. The Mexican sunflower, however, is a fast-growing and aggressive weed that is considered to be an invasive species in South Africa. It is an annual shrub that spreads through seed dispersal and competes with plants endemic to the region. While there is little information regarding the potential of the African locust bean to provide nutrients to plants, the Mexican sunflower was previously noted to supply crop nutrients despite the complex nutrient required in the leaves. The authors also pointed out that both the African locust bean and the Mexican sunflower can provide an ample amount of biomass to sustain crops and help them grow. 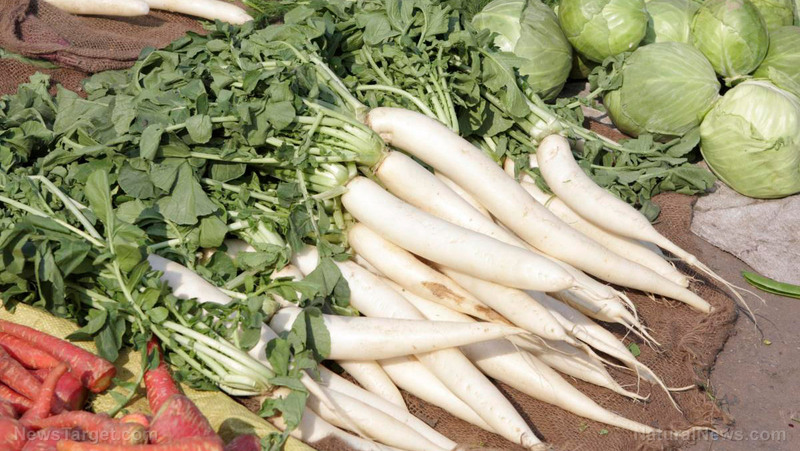 For the study, three main factors were considered: The effect of the green biomass on the growth of the radish, its ability to influence the yield, and its overall vitamin C content. Researchers found that a contribution of 10 tonnes per hectare of the Mexican sunflower can compete with that of NPK. On the other hand, the effect of the African locust bean was not able to be fully expressed because of its slow mineralization. Moreover, a combination of the two materials at varying levels also contributed to the growth and yield of the radishes; however, these were not significant enough. Researchers concluded that using the Mexican sunflower as organic manure at 10 tonnes per hectare can produce similar yields as that of 200 kilograms per hectare of NPK fertilizer. Moreover, the Mexican sunflower is eco-friendly and readily available over NPK, which has both economic and environmental impacts. Learn more scientific breakthroughs on farming and agriculture by following Science.news today.